Brisbane Marketing has started a boot camp business program to help drive Brisbane’s food innovators and start-ups. The new Future Food Brisbane program offers four eight-week courses designed to help food businesses in the region and provides the chance to work with the likes of SilverChef, KPMG, Wandering Cooks and Bentleys. Future Food Global Readiness Accelerator: An eight-week program run by professional services company KPMG for businesses with existing products and high-growth potential. Future Food Product Development and Market Readiness Incubator: An eight-week program run by corporate services company Bentleys for businesses at an early stage of development. Startup Launchpad: An eight-week program for businesses at the concept development or startup stage, presented by SilverChef in conjunction with Wandering Cooks. Industry development workshops and seminars covering important aspects of food and beverage commercialisation, from e-commerce to IP protection. Food Innovation Australia Limited (FIAL) is delivering all four courses. 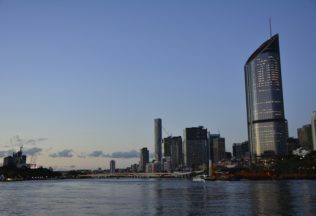 Brisbane Lord Mayor, Graham Quirk, said the Future Food Brisbane program is part of the city’s strategy to drive investment and job growth in the food and agribusiness sector. “Brisbane and its surrounds are recognised for producing delicious high-quality produce, and combined with our robust supply chain infrastructure, research capability and support for start-ups, we are seeing more innovative food products and ideas emerge,” Cr Quirk said. “There is a hunger from Brisbane’s food community to expand their capabilities, capacity and expertise and the Future Food Brisbane initiative will deliver a range of targeted education and industry development advice to help them achieve this.